At boiler services Meath we will always try to provide the best information possible so here is some boiler maintenance advice. As the counties leading experts when it comes to boilers we have the knowledge to share so as to reduce the risks of an expensive breakdown during the cold months. We all realize by now that the summer is usually not great in our country but during the spring and summer period rarely do we have to switch the heating on. We all like to save money so it would just seem a waste to have the boiler going, using fuel and costing money. The flip side is your boiler is a piece of machinery similar to a vehicle, if you put your van in your garage for 6-7 months without use, would it work when you try to start it? If you take heed of our boiler maintenance advice this will help your boiler to perform when you need it. Our best boiler maintenance advice. Test your boiler during the summer time. The weather may suggest you don’t require your heating but firing it up for about 20 minutes monthly will help all the operational parts freely move and prevent seizing. This run out you give your boiler will prevent a build up of dirt, grime and sludge from non use. During the summer moths if you have a thermostat set it at a low level. By making adjustments to the heating controls this will save money it doesn’t need to be on a lot just to prevent a sudden chill .This can save money and ensure you don’t get a chill if the weather turns as well as helping your boiler. Consider saving cash in the long term. 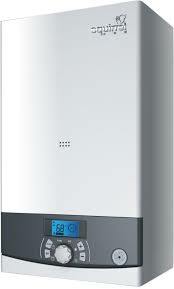 Generally the older your boiler gets the less efficient it becomes. A recent independent study said that after 3-4 years without a boiler service when having one you can save around 15% on your annual fuel bill. When you are calculating savings remember an old gas or oil non condensing boiler will only convert around 76% of fuel in to actual usable energy(and this is normally a generous estimate). This is in comparison to the new types of condensing boiler which are designed to be much more Eco friendly and will convert around 92% of its fuel in to heat producing energy. Please be advised that for the last seven years when getting a gas boiler replacement people are now required by law to install high efficiency condensing boilers. Please read our article 7 reasons boilers breakdown in cold weather. If you do decide that you need a new gas or oil boiler you will definitely find the prices to be a bit cheaper in the summer months. At this time all of the specialist boiler services engineers are quieter. Basically if you plan ahead you will save twice, firstly on your new boiler and and secondly on your future heating bills. Lastly a few more bits of helpful boiler maintenance advice. Always ensure you have a Carbon Monoxide Detector fitted, with age boilers can detect leaks. Oil tanks. If you have one do not let the oil get too low. No one needs the extra cost of bleeding the lines to get your oil boiler going again. Before the weather turns colder get your oil tank filled. As soon as the cold arrives everyone wants their tank filled and you may have to wait in the queue for delivery. You don’t want to get cold or run out! If you haven’t had a service for a while, check the flues aren’t blocked also NEVER cover your vents or your gas boiler. 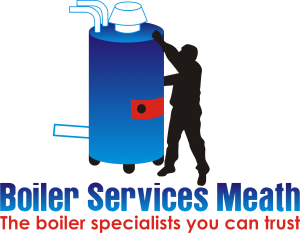 For any information about boilers and boiler maintenance just call the experts at boiler services Meath on 046-9011255.